If a worker has reached a certain age, or if their injury is severe enough, there is a good chance that they may wind up receiving unemployment or some form of Social Security in addition to workers’ compensation payments. If this is true, however, it is important to understand that there are certain rules surrounding these payments that must be observed. Failure to do so can land a person in serious trouble. Some people on workers’ compensation are able to receive unemployment, while others may not. In order to receive unemployment benefits in most states, Florida included, a person must be able to demonstrate that they are able to work, or at least able to work at a significant portion of the available jobs at that time. Someone who is receiving any kind of total disability payment is, by definition, not able to work. Thus, only those on temporary partial disability (TPD) may receive unemployment benefits in Florida. Though those on TPD are entitled to unemployment, what many do not understand is that they will not receive 100 percent of both payments. 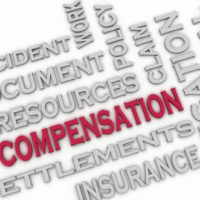 Disability offsets workers’ compensation payments – in other words, disability is treated like earnings, meaning that less workers’ compensation would be payable. In addition, one is only guaranteed 80 percent of their average weekly wage in terms of payment, so one would start from less than normal to begin with. The resulting payment is still satisfactory in most cases, but it is not exorbitant. Someone who has been classified as having a permanent injury or disability (PTD or PPD) will not be eligible for unemployment because at least in theory, they will no longer be able to work. However, they are sometimes eligible to receive Social Security benefits, provided that the combined Social Security and workers’ compensation payments do not exceed 80 percent of one’s average current earnings. If they do, an offset will occur. Normally, the Social Security Administration is entitled to the offset, but Florida has a law allowing workers’ compensation carriers to take the offset instead. It is important to keep in mind that if your injury entitles you to both workers’ compensation and Social Security, the offset does end when you reach the age of 65 and your SSD benefits convert to standard Social Security retirement payments. The law does not permit the offset to come out of retirement payments, because the assumption is that the worker in question will likely no longer be working upon reaching that age. The offset also does not include cost-of-living increases, which are voted on by the federal government every few years. Workers’ compensation is a complex area of law that can make even the most patient people frustrated and confused. Having an experienced attorney on your side can help smooth out the process. The Orlando workers’ compensation attorneys at the Hornsby Law Group can help you determine the best path for you and your loved ones. Call our offices today to set up an initial consultation.